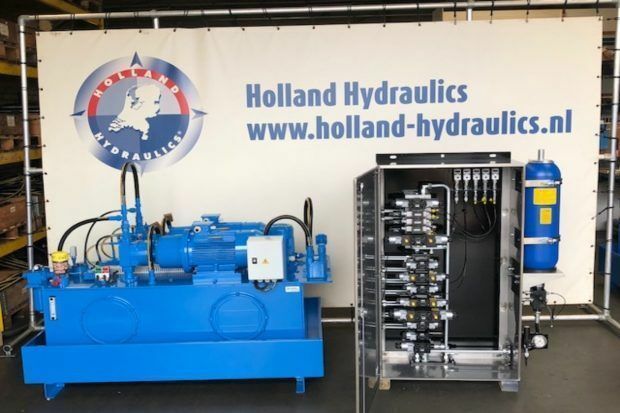 Are you looking for a hydraulic system? Holland Hydraulics B.V. has provided a hydraulic system for a paper production machine in Germany. We have built a 2x11kW power pack with a flow of 2×69 L/Min to achieve the system requirements. The custom made manifold, which was built in a stainless steel box, was used to control the 15 hydraulic cylinders for HEB Hydraulik-Elementebau GmbH. We have executed the installation of all the piping work for this project and we have provided the customer with consultancy, engineering, and production of this hydraulic system. Our certified service engineers have installed and commissioned the system on site.